The most appealing mystery heroine since Janet Evanovich’s Stephanie Plum, TV reporter Riley Spartz is a star investigative journalist for Channel 3—and no stranger to the seedier side of her hometown. But when she receives a package of smelly human teeth in the mail at work, she’s quickly embroiled in a homicide investigation that spirals into one of the odder cases the Minneapolis police force has ever seen. Though the cops try to keep certain grisly details quiet, this murder has a strange twist—it seems that the killer wants the crime publicized. 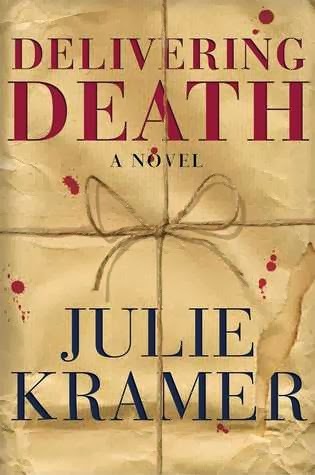 An irresistible suspense novel that will keep readers turning pages until the stunning conclusion, Delivering Death brings the humor, intrigue, and twists and turns Julie Kramer’s fans have been waiting for. 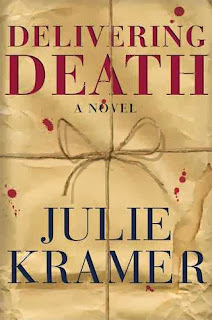 Julie Kramer has moved from journalist to novelist. She writes a mystery series set in the desperate world of television news—a world she knows well from her career working as a freelance news producer for NBC and CBS, as well as running the acclaimed WCCO-TV I-Team in Minneapolis. Her thrillers, STALKING SUSAN, MISSING MARK, SILENCING SAM, KILLING KATE, SHUNNING SARAH and soon to come - DELIVERING DEATH (January 7) - take readers inside how newsrooms make decisions amid chaos. She's won the Minnesota Book Award and the RT Book Review's Best First Mystery. She has also been a finalist for the Anthony, Barry, Shamus, Mary Higgins Clark, Daphne du Maurier, and RT Best Amateur Sleuth Awards. Julie grew up along the Minnesota-Iowa state line, fourth generation of a family who raised cattle and farmed corn for more than 130 years. Her favorite childhood days were spent waiting for the bookmobile to bring her another Phyllis A. Whitney novel. An avid reader, she tired of fictional TV reporters always being portrayed as obnoxious secondary characters who could be killed off whenever the plot started dragging, so her series features reporter Riley Spartz as heroine. This sounds like a great read, I'm adding it to my reading list. I'm having a giveaway there too. I'm always looking for a good mystery and this sounds fantastic! Thanks for sharing! I love murder mysteries with a twist and this one sounds really great! If it is a mystery, it is for me. Love a good crime mystery. Love her alliterative titles, too. Have read all her books.... Very fun reads! Murder mystery's are amazing to read! I haven't read anything by this author yet...But I hope to soon! I am always open to new suspense/mysteries! Then we can anticipate the next book! I am most excited about the humor and the twists and turns in this mystery. Thanks for having the giveaway.